1973 – the circle of V.G. Shukhov’s tower foundation was poured with concrete, which brought about an intensive corrosion of the structural iron of the first section at the sites of its appearance from the concrete. 1990 – the book "Vladimir G. Suchov 1853-1939. Die Kunst der sparsamen Konstruktion" (ISBN 3-421-02984-9), written by a team of authors under the guidance of professor Rainer Graefe, was published in Germany. This book stressed that the state of the Shabolovka tower gave rise to fears and that it was necessary to have a program of preserving Shukhov’s buildings with the restoration of structures in the technique of Shukhov’s times (page 152-153). In 1994 this book was published in the Russian language (ISBN 5-03-002917-6). October 8, 2003 – during the ceremonial meeting in honor of Vladimir Grigorievich Shukhov’s 150th anniversary the Moscow mayor Yury Mikhailovich Luzhkov stated that it was necessary to repair the Shukhov tower in Shabolovka. In order to monitor V.G. Shukhov’s heritage, there was created the “Shukhov tower” Foundation for the development of science, culture and art. October 10, 2003 – the State Duma adopted Regulation No. 4415-III calling the executive authority to take necessary actions and organize “preservation of engineering structures built according to the projects of V.G. Shukhov in Moscow and other cities of Russia…”. 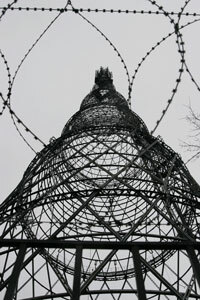 February 1, 2006 – the “Shukhov tower” Foundation published a declaration about the necessity of urgent protection of V.G. 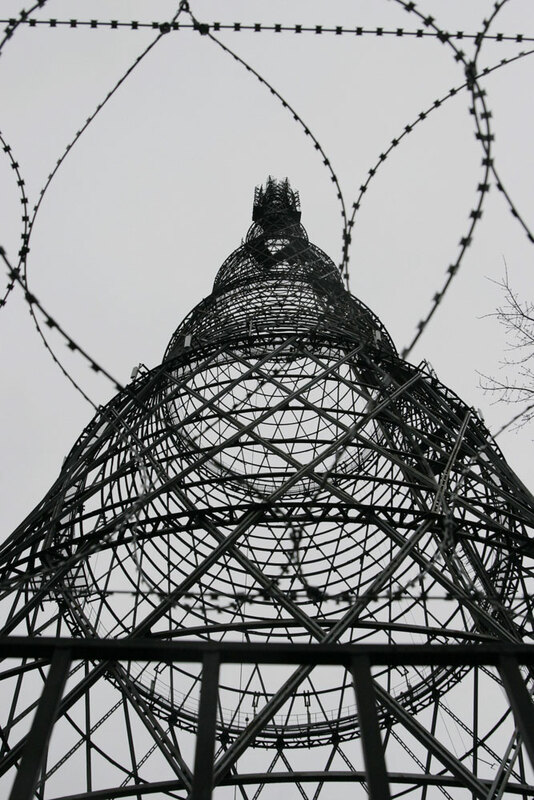 Shukhov’s tower from corrosion and restoration of its structures. March 10, 2009 press conference – the “Shukhov tower” Foundation stated that the state of several elements of V.G. 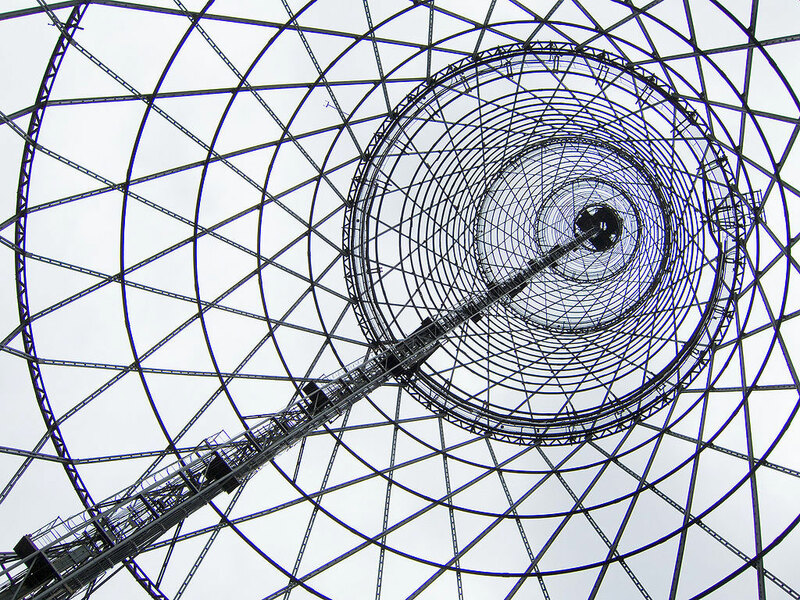 Shukhov’s tower was critical and it was urgently necessary to protect it from corrosion and restore. Owing to the press conference more than 40 publications were made in the mass media. March 13, 2009 – the Prime Minister of the Russian Federation Vladimir Putin backed the initiative regarding the commencement of restoration works on the first Shukhov’s TV tower in Shabolovka. March 14, 2010 – the British architect Lord Norman Foster wrote a letter demanding restoration of the Shukhov tower in Moscow. The influential representatives of the European architectural community also demanded to preserve the famous Shukhov tower. December 27, 2010 – the Russian Government adopted a regulation about appropriating 135 million Rubles from the budget on the design and reconstruction of the Shukhov radio tower in 2011-2013. 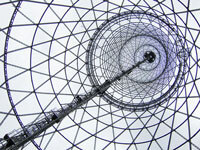 March 19, 2012 – the 90th anniversary of the Shukhov radio tower. At the Foundation’s press conference it was stressed that in spite of the appropriation of money the tower was not restored and during 25 years had not been protected form corrosion, which in solar weather was seen with the naked eye from the nearest streets. The unique monument of architecture was inaccessible for citizens and tourists. Owing to the press conference more than 50 publications were made in the various mass media. June 1, 2012 – during the conference of the European project “RKM_Save Urban Heritage” – “Salvation of the avant-garde architecture in Moscow” with the participation of experts and specialists from Italy, the Netherlands, Ukraine and Russia it was declared that it was urgently necessary to protect the Shukhov tower from corrosion and it was inadmissible to distort the historical appearance of the masterpiece of the Russian avant-garde in the course of restoration. The “RKM” project that examined both the Shukhov TV tower and its surrounding infrastructure had been realized under the European Union’s “CIUDAD” program for more than two years. October 8, 2012– at the joint meeting of the Moscow city Duma committees for culture and mass communications and for matters of public associations and religious organizations the deputies considered the restoration of the Shukhov tower. The company “Quality and reliability” submitted the results of expertise done on the condition of the Shukhov tower, and they showed that during its life the tower had been subjected to a number of modernizations incompatible with the original project of the academician Vladimir Grigorievich Shukhov, which in combination with further corrosion brought about a drastic deterioration of its strength. In recent years, the owner of the tower had not carried out any works to protect the tower from corrosion and sustain it in a normal condition according to the requirements of the Russian Federation legislation. As a result, the world-level monument of architecture and engineering had been brought to the brink of destruction.